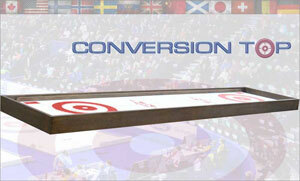 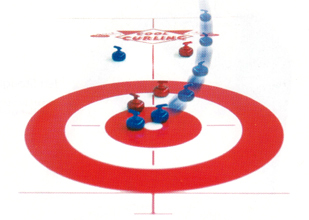 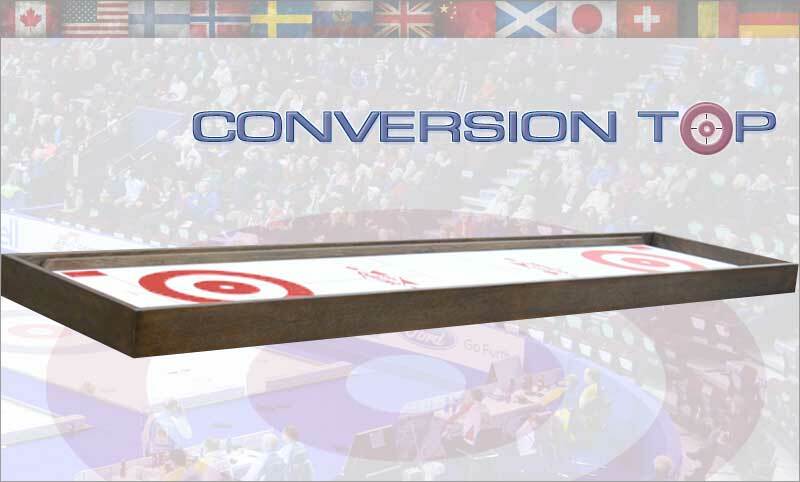 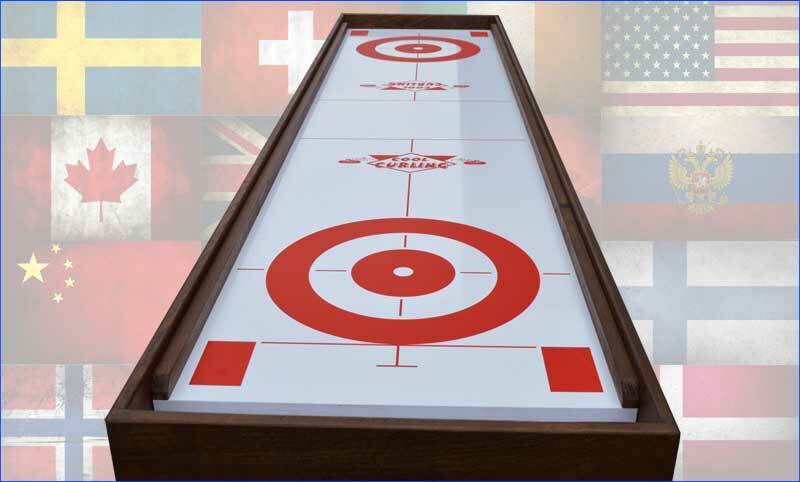 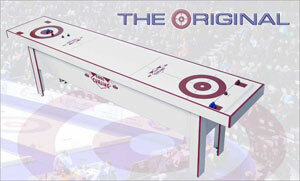 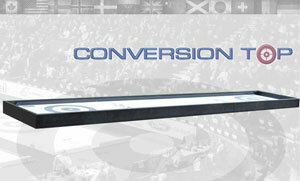 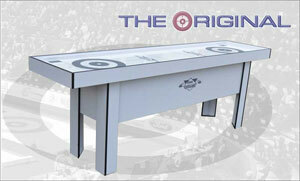 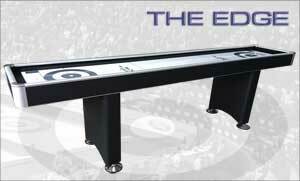 The Premiere Conversion Top eight or ten-foot game tables complement many game rooms and curling club lounges. 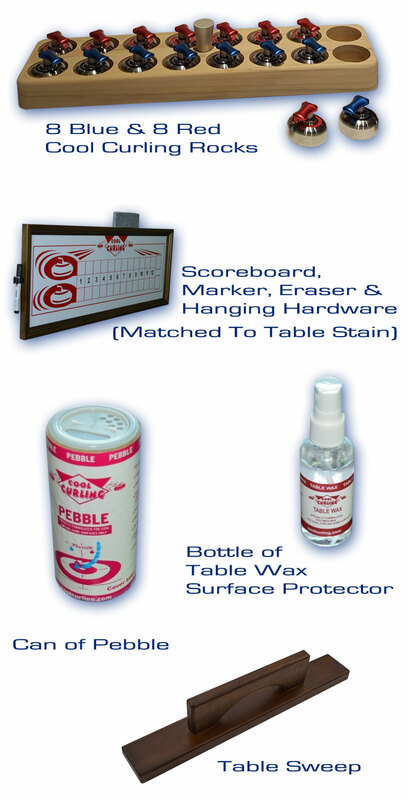 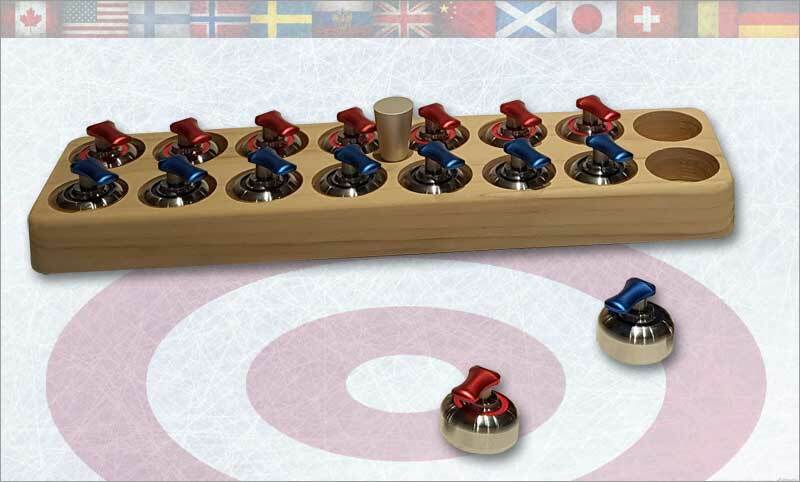 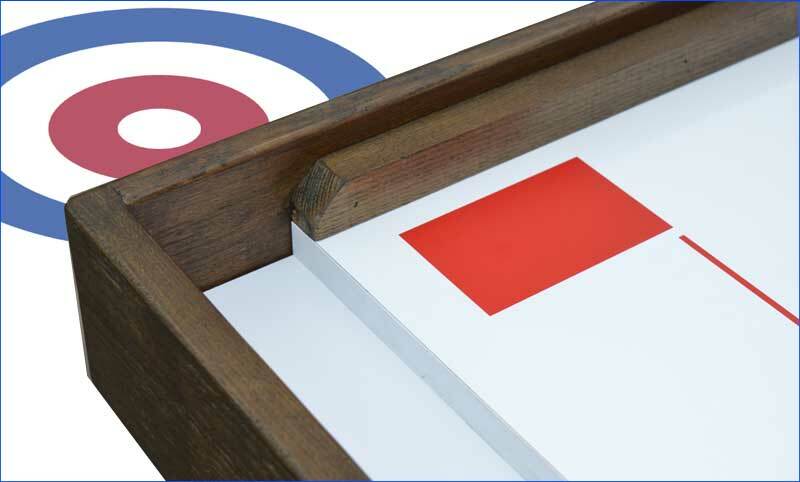 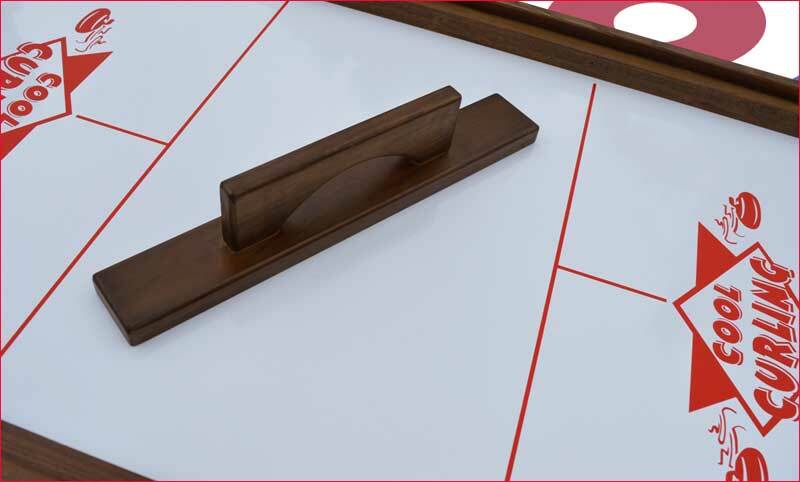 As the perfect topper solution for those who may already have a billiard or shuffleboard table or set on the floor for play and easily stored away when not in use, you've added a brand new exciting game without needing any more space! 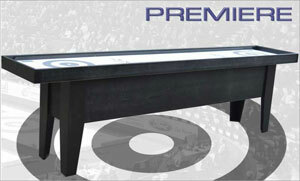 Just like the Premiere full table model, it features a durable and beautifully stained solid oak frame and is available in traditional mahogany with red graphics or black with black/grey graphics. 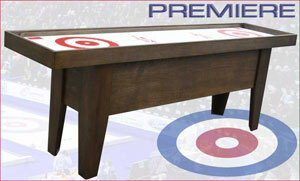 With that special look and feel that matches the ambiance of the game, it is truly an experience to be had.